Ben Sawyer has just announced that he is beginning to roll out the great new event called Games Beyond Entertainment Week. This is a week worth of conferences to be held in Boston, Massachusetts, starting on May 24, 2010. Games Beyond Entertainment Week is a series of one and two-day conferences designed to explore Serious Games and emerging market opportunities for videogames and videogame technologies. Featuring over 10 unique events including the 6th Annual Games for Health Conference, Games Beyond Entertainment Week is focused on networking, promotion, business development, and knowledge sharing of interest to both the videogame industry and the multitude of sectors using or investing in videogames to further their specific organizational missions. Last year Games for Health featured just over 400 attendees and was a great event. This year they're doing more. Under the banner of Games Beyond Entertainment Week we may find a number of events looking at areas including mobile Serious Games, and games for education, defense, and corporate training. A daylong conference followed by a late-afternoon demo and exhibit festival dedicated to Serious Games. The premiere two-day event following the extensive uses of games for health & healthcare. 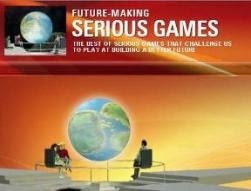 One of the events under consideration is an International Leadership for Serious Games Gathering. 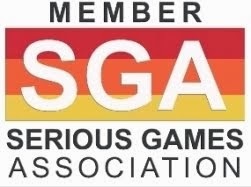 As part of Games Beyond Entertainment Week, organizers are planning an international Serious Games leadership event on Friday May 28. In my view, this would be a fantastic opportunity to get together and meet each other, and discuss ways Serious Games business can advance on a more global basis.